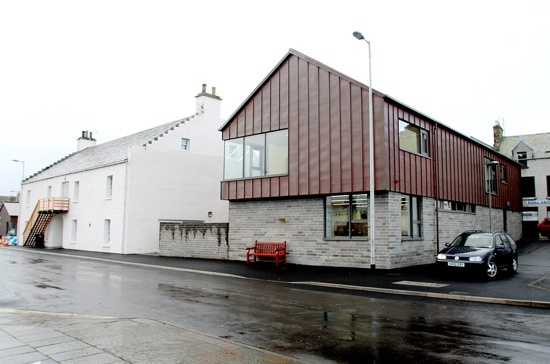 Thinking it was about time Stromness Library joined the main Orkney Library and Archive in cyber space we decided a blog was the ideal way to claim our very own cosy corner of the web. But what to write? We have to admit to the tiniest touch of stage fright following our decision, so we prey your indulgence as our initial postings may well involve a degree of “previously on …” style catching up with events we were too excited/overwhelmed/disorganised to record at the time. It feels like we’re embarking on a journey into the unknown and like a trip along the street in Stromness, you never know who you might meet on the way! A warm welcome to the blogosphere from a regular user of Kirkwall Library. Unfortunately I don't drive so only rarely make it to Stromness, but I look forward to following your news via this excellent blog.